Improve space management with our reverse osmosis units and under sink water filtration systems : water that is safe and good to drink, directly from the home tap! Choose quality without giving up on convenience. 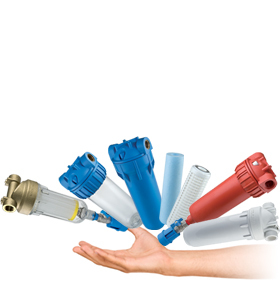 Under-sink water filters BRAVO DP make it possible to improve water quality by maintaining it clean and safe. Under-sink water filters IN LINE make it possible to obtain water that is filtered and good to drink, directly from the home tap. The OASIS DP RO reverse osmosis filters are under-sink reverse osmosis systems designed for complete water treatment.